DKNY has some nice purses to check out! My personal picks from DKNY new collection are: Color Block Leather Small Satchel in Popsckl-Sand, Soft Fringe Large Hobo, Rita Multi Strap Sandals White or Black ( can’t decide! ), DKNYPure Print Silk Tank With Silk Back , Color Block Blouse, Color Block Layered Dress. Lots of color block trends, geometry which I personally like a lot, black & white classic combination with an urban, modern vibe. And what is your favorite piece? Let me know! My next post is coming tomorrow so visit me again please! Fashion advice and styling tips by Renata. Oh this looks like it was a great event! I didn’t realize you were in NY. Next time you are heading to an event let me know. I am supposed to be heading to one tomorrow but not sure if I am going to make it. Oh my gosh, you lucky thing! 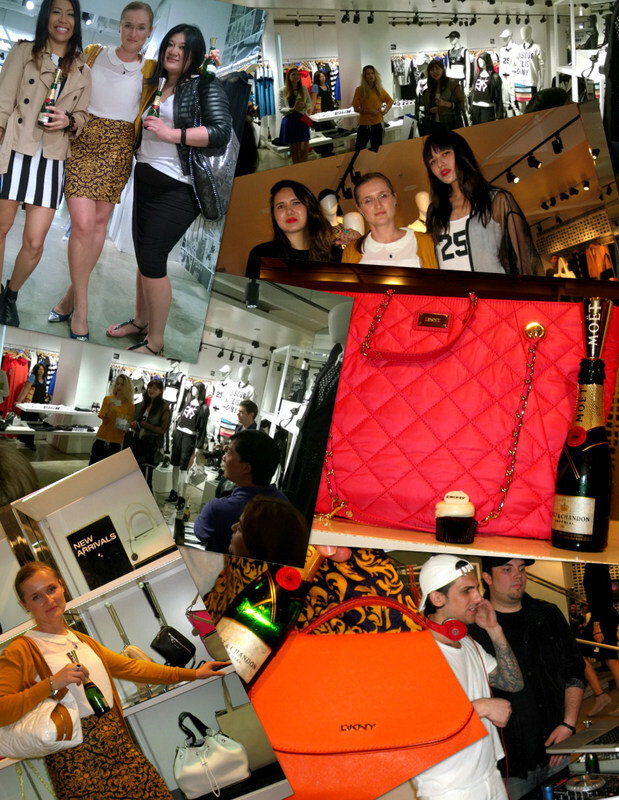 This event looks fabulous – the delicious DKNY branded cupcake, the gorgeous designer accessories and the general vibe looks great!